With your caravan or camper trailer! Kangaroo Island is a 45 minute ferry ride from Cape Jervis on mainland South Australia yet here you’ll feel like you’re a million miles away. This unspoilt sanctuary is a haven for flora and fauna and souls in need of respite. But it’s not all rest and relaxation. From wineries to wildlife encounters, seafood to seafaring adventures, there’s plenty to make your island escape unforgettable. Ferry bookings can be made online for caravans and camper trailers that measure no more than 4 metres long and 2.3 metres high. Larger caravans and camper trailers unfortunately cannot be booked online, so please call us on 13 13 01 or email [email protected]. If you wish to book a caravan or camper trailer site please go to our Caravan and Camping page. Please note that camping is only permitted in designated areas on Kangaroo Island. Advance bookings can be made at private parks however bookings are not available for Kangaroo Island Council campgrounds as they work on a first-come, first-served basis with a self-registering system. For all camping information check with the Kangaroo Island Council. 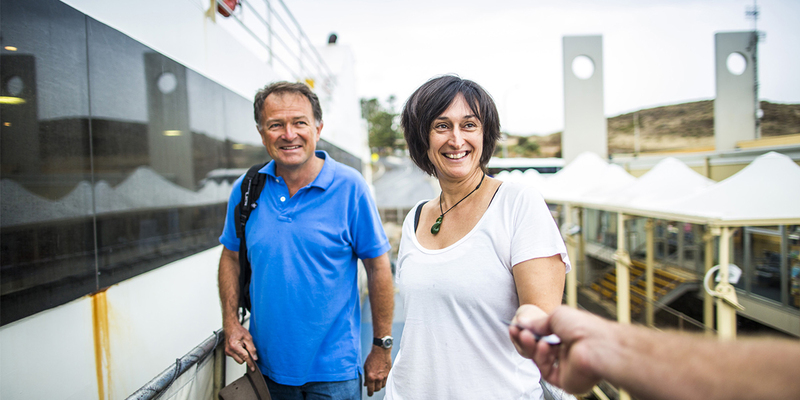 Book ferry travel to Kangaroo Island for a vehicle and your caravan or camper trailer and receive two FREE passenger fares! Just quote CARAVAN19 when booking to receive your saving. Take advantage of this special offer by booking from 14th February 2019 to 14th September 2019. Valid for travel from 15th May 2019 to 15th September 2019. 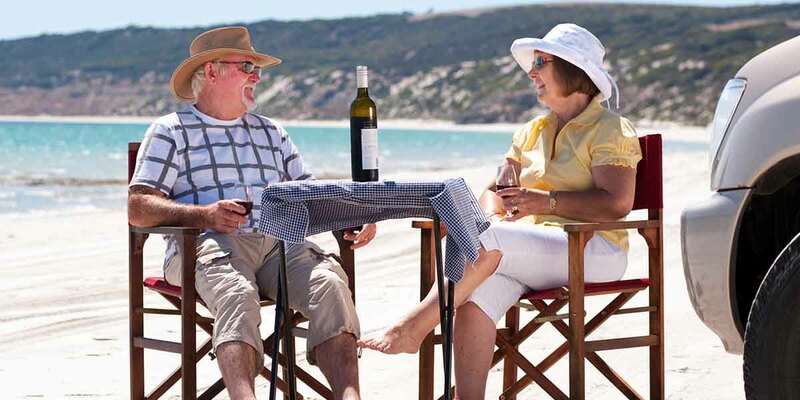 Save up to $56 when you book return ferry travel with your car and caravan (or camper trailer) to Kangaroo Island, return travel for two people, plus a minimum of 1 night at a powered or unpowered site at selected Caravan Parks with SeaLink. Powered or un-powered sites can be booked through SeaLink when making your ferry travel booking online or with our Reservations Team on 13 13 01. Take a look at Caravan Park accommodation or see other accommodation choices (over 90) on Kangaroo Island that we can help you with too - so one phone call or email should do it all! To book, simply call 13 13 01, we're open 7 days, or you can email us at [email protected] anytime. ^valid for travel until 31st March 2020. For other dates please enquire. This offer is not valid with any other special offer/promotion. This special offer is not bookable online, available for bookings via phone or email only. Savings based on return vehicle (up to 5 metres in length), two passengers and minimum one night accommodation at powered or unpowered caravan site.